Swedish massage is also known as classic massage and it’s the most widely used form of massage practiced by most therapists and Spas in the U.K and Europe. 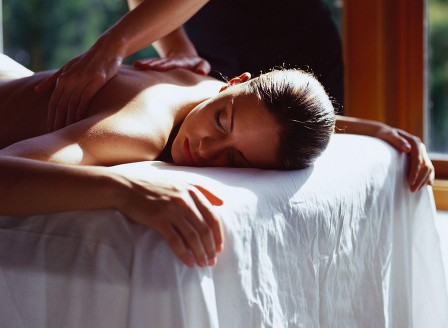 If you have never had a massage before then a Swedish Massage is a good place to start. It is a very versatile type of massage and can either be soothing and relaxing or deep and stimulating depending on your needs and what you want to achieve. It’s was originally developed around 1820 by Dr. Per Henrik Ling (1776-1839), who was a physiologist and it is based on western anatomy and physiology rather than eastern energy meridiens. A Dutch practitioner called Johann Georg Mezger also developed the style and he gave the French terms to the strokes. There are five basic strokes and many variations within these. Sliding or stroking technique. Effleurage is a long sweeping stroke that can alternate between firm and light pressure and which can be performed using the palm of the hand or the fingertips. This is usually one of the first strokes used on the body as it is warming and soothing, It helps you to relax and the therapist can feel the texture of your skin, the condition of the underlying muscle and start to map out areas of tension and pain in your body. It also warms the muscle and helps to establish trust and connection between you and your therapist. This is the technique of kneading the muscles of the body to achieve a deeper massage. Thumbs and knuckles are often used to compress and squeeze the muscle and this increases blood circulation and breaks down tight nodules and adhesions. Tapotement consists of rhythmic tapping that uses the fists or the cupped hands, fingertips or the side of the hand. It can be stimulating to the nerve endings, increases circulation and improves muscle tone. Can be coarse or fine vibration and soothing or stimulating. Working with or against the muscle fibres (up and down or side to side) can often help to relax the muscle. Fast rubbing creates heat through friction. This warms the muscle and aids relaxation, breaks down tight modules, increases blood circulation and helps soften scar tissue. It is sometimes used to prepare the muscle before deeper massage. Traditionally Swedish Massage is performed on one body part at a time while you are drapped under a warm towel or sheet. During your Swedish massage I will adapt the teqniques to best serve your body, spending extra time on knotted up muscle and use advanced teqniques to ensure you are completely relaxed and cared for. 2 hr Body makeover, soothes muscles and leaves you feeling reborn.